Our 2017 Master Class in Research Leadership and Management is now underway at WorldFish in Penang, Malaysia, until 4.11. The Master Class focuses on developing skill sets required to lead successful R&D and extension programs that support the development needs of countries throughout the world. It draws on past training and latest thinking and best practice, drawn from both the public and private sectors, about how individuals can navigate the path from scientific and technical expertise roles to new positions requiring the leadership skills necessary to lead people, project and program teams, and ultimately research institutes. “There has been a very positive response to our second Master Class with a full complement of participants. 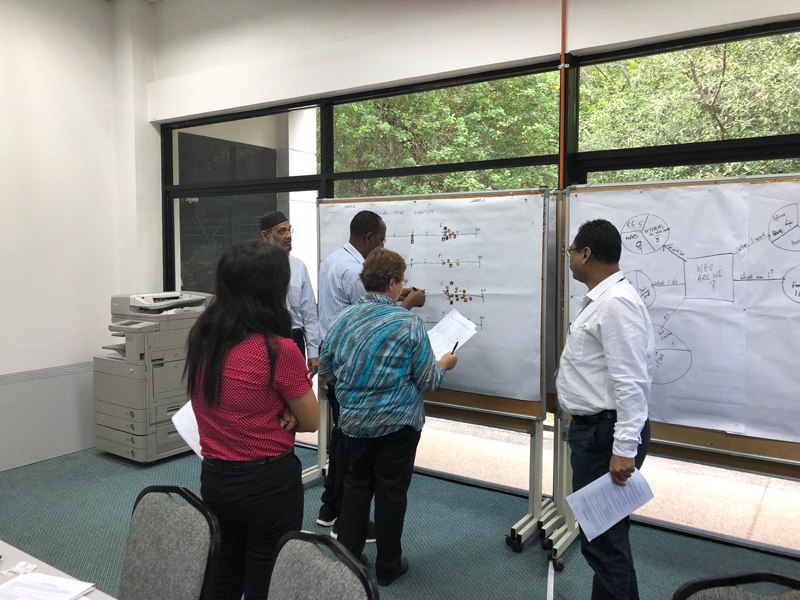 In addition to our funding for the training, we are grateful for support from ACIAR and APAARI and special thanks to WorldFish for making their resources available to us,” said Prof Shaun Coffey, our Director of Master Classes and Training who is again leading the training in Penang. Responses from participants in our first Master Class are recorded in this short video. “We are broadening the reach of our training this time, with representatives from Pacific nations which will bring new experience and knowledge to our growing alumni of emerging ag science managers,” said Shaun, who will again be joined in Penang by our CEO, Dr Colin Chartres. “Our 23 participants are from a range of key institutions and Crawford Fund partners including ACIAR, ICRISAT, World Vegetable Center, WorldFish and national institutes in countries as diverse as Fiji and Mali and all parts in between,” said Shaun. We will be posting from the training on the Crawford Fund’s social media platforms using hashtag #LeadAg2.